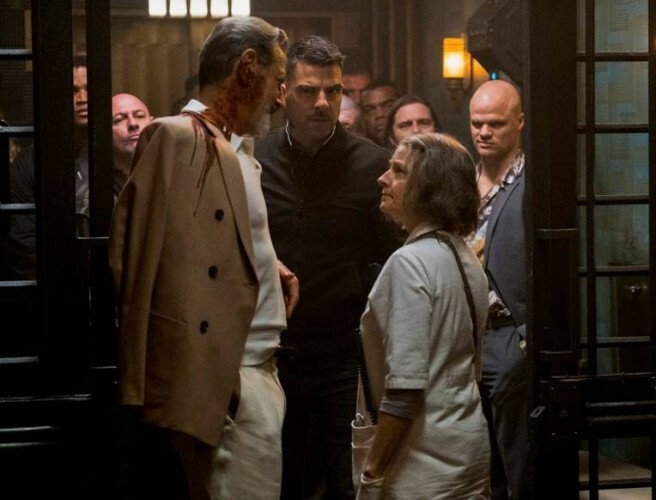 Just released, the trailer for Hotel Artemis, an ultra-exclusive, members-only hospital hidden in a hotel redolent of faded ‘20s glamour. The Nurse treats an assortment of assassins, gunrunners, thieves and gangsters in an unexpected state-of-the-art emergency room capable of providing a new liver with a 3-D printer or injecting a patient with nanobots that heal from the inside out. One night as a violent riot rages on the streets of Los Angeles, legendary crime boss Orian Franklin, aka NIAGARA, arrives needing immediate treatment after a failed attempt on his life.